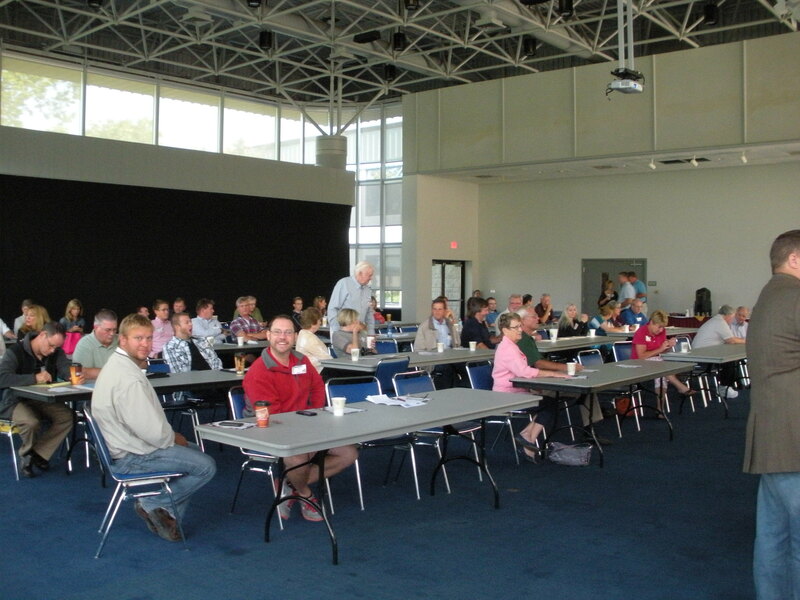 On August 16, 2013, ICAPs third and final 2013 Illinois Appraisers Update Seminar was presented at the Lewis & Clark Community College venue. 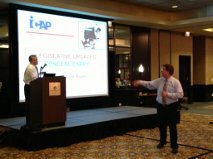 Approximately 50 attendees participated this year, making ICAPs third annual Godfrey, Illinois seminar a huge success. 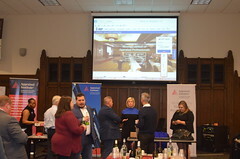 Elizabeth Kern, IFSA, opened the session with a warm welcome to all appraisers in attendance, thanking them for their support for the Godfrey venue, which provides stimulus for future Godfrey seminars to be held around the same time every year. Tedd Neff, SRA, ICAP Director, emphasized ICAPs roll in the legislation process through the monitoring of new bills affecting the appraisal profession. Jim Blaydes, SRA, is the Legislative Chair and works tirelessly on behalf of ICAP. 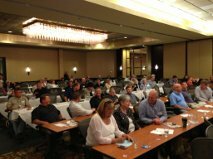 Tedd encouraged all appraisers to participate, reminding them the importance their support generates as work on legislation progresses. Tim Dain, SIRMLS, Executive Director, presented “Maxing Out the MLS for Appraisers.” Tim took us on a tour, highlighting various functions the MLS provides, emphasizing ones of special interest to appraisers: Their 1004MC report options such as plus/minus indicators, customizing data for exporting to appraisal software, building custom search forms, and map based searches. Tim spoke about the differences between days on market and consecutive days on market (multiple listings without a 60 day break between listings). 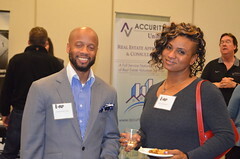 Another resource the MLS offers is a variety of reports and data available through Realist / CoreLogic. Except for square footage, MLS auto populates data from Realist. Their data is based on county records. Tim reminded us that the MLS was never built to be an appraisal database, but rather is a marketing database, and not a factual database. A reminder: As appraisers, it is our responsibility to verify, verify, verify. Exciting news in the next couple of months will be the debut of the next evolution in technology: FIND NEW, which is purely a research tool for appraisers, not meant for consumers. It will co-mingle MLS with public records. 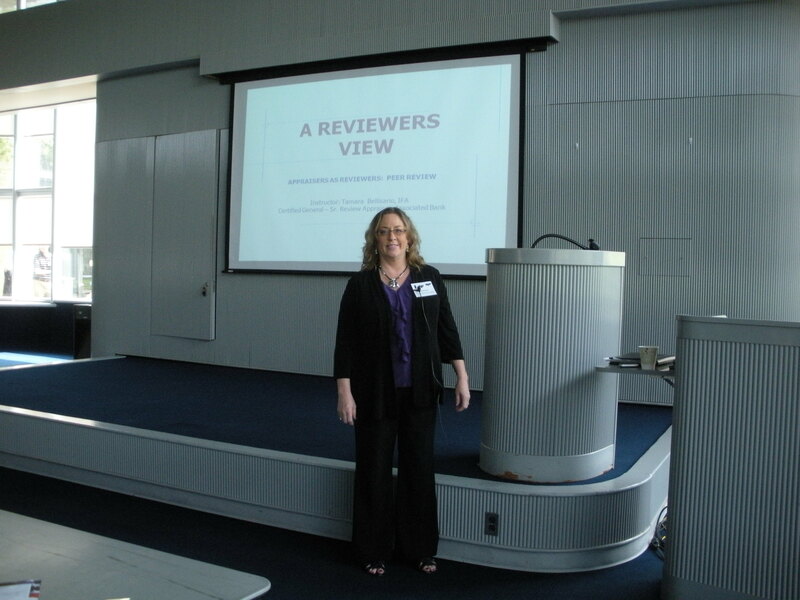 ICAPs Immediate Past President, Tamara (“Tami”) Bellisario, IFA, presented “A Reviewers View.” A Senior Review Appraiser with Associated Bank, Tami gave us an inside look into the world of review: What are the AMCs, underwriters, mortgage insurance underwriters, and peer review appraisers looking at? Highlighted were differences between engagement letters and AMC engagement letters, and reasonable correction versus changes in scope of work requests. What raises a “red flag?” items were presented with additional discussion focused on: Subject property owner name, address, legal description and entire listing history. What does it mean to analyze or explain a contract? Neighborhood and market conditions consistency, site characteristics and highest and best use, improvements and how to avoid disputes, exposure versus marketing time definitions, prior appraisal service, prior sales analysis and what is a good sales comparison summary? 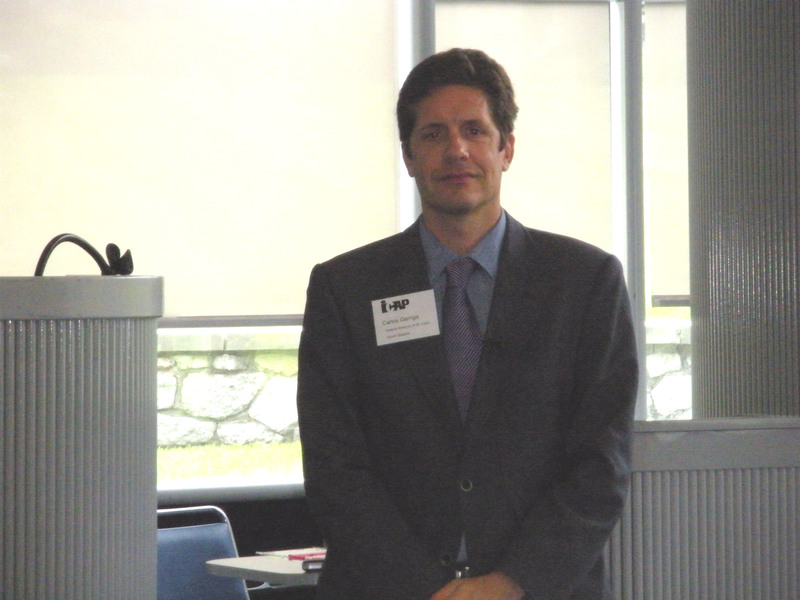 Carlos Garriga, Research Officer with the Federal Reserve Bank of St. Louis presented “Update on Economic Trends in the Housing Markets.” Carlos presented an overview of the State of the U.S. Economy. Personal income growth has collapsed. Potential GDP is now lower. Economy is not upgrading as it did previously with the same tools. The biggest short term problem is to much household debt. The most affected by the mortgage debt overhang are the young homeowners. If the debt is repaid, there is no money for consumption. Stock market equity has recovered more rapidly than homeowner equity. Negative equity is likely to linger for years driving millions of additional foreclosures. De-leveraging hampers growth. Biggest medium term problem: build up of too much government debt since 2001. The retirement of baby boomers puts us on the verge of a demographic tsunami. Midwest demographics will resemble Japan. Consumer confidence tracks housing prices with a lag. More employment growth is seen in areas where houses are affordable. Judicial foreclosure is slowing recovery in about half of all states; double-digit rates of delinquency are common in judicial states. The current chairman’s policy is to keep interest rates low until unemployment improves. Policies could change next year when the new chairman comes on board. 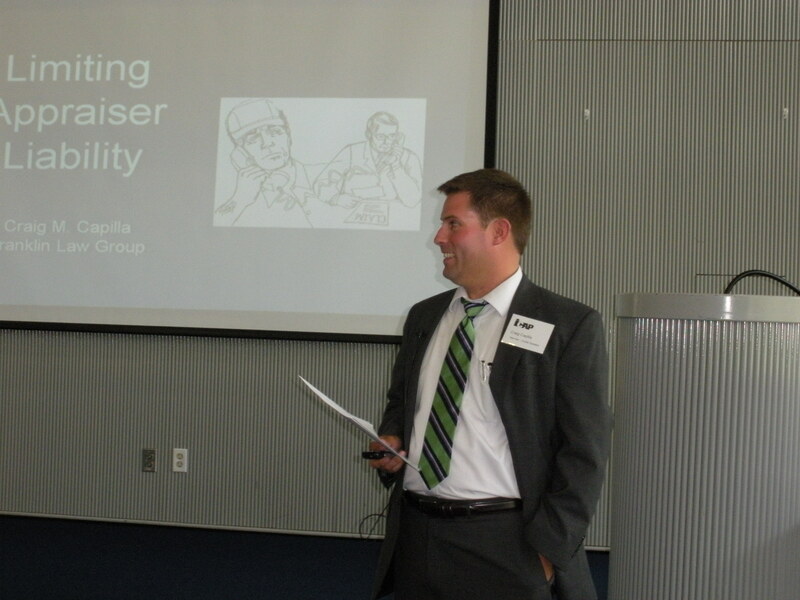 Craig Capilla, Attorney with the Franklin Law Group presented “Tales From the Other Side – General Liability Issues.” Craig provided guidance on how to limit your liability as an appraiser. First Craig explained the areas where an appraiser may find him or herself liable: Breach of contract, third party liability, tort liability for misrepresentation, consumer fraud, theft by deception, conspiracy, unjust enrichment, breach of fiduciary (trust) duties. And if that isn’t enough, other areas such as statutory requirements, interagency guidelines, trade group rules, et cetera. Statute of Limitations specific to Illinois were addressed. Craig answered the questions, “Why is this happening?” and “What is the best defense that can be offered?” Types of damages awarded to injured parties were described. 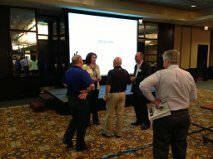 Craig offered ways in which appraisers can limit their liability and take other preventative measures. And, if you need help, call them at 847-716-2380. Brian Weaver, Appraisal Coordinator for IDFPR closed the day out with “The Rest of the Story.” Brian, who always provides appraisers with a wealth of information and knowledge, did not disappoint with this year’s presentation. Good news: Appraisal complaints are down 43% over last year. 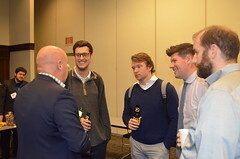 Brian’s first Trainee Upgrade Clinic, held in Chicago in the month of June, was a big success with 26 trainees attending. 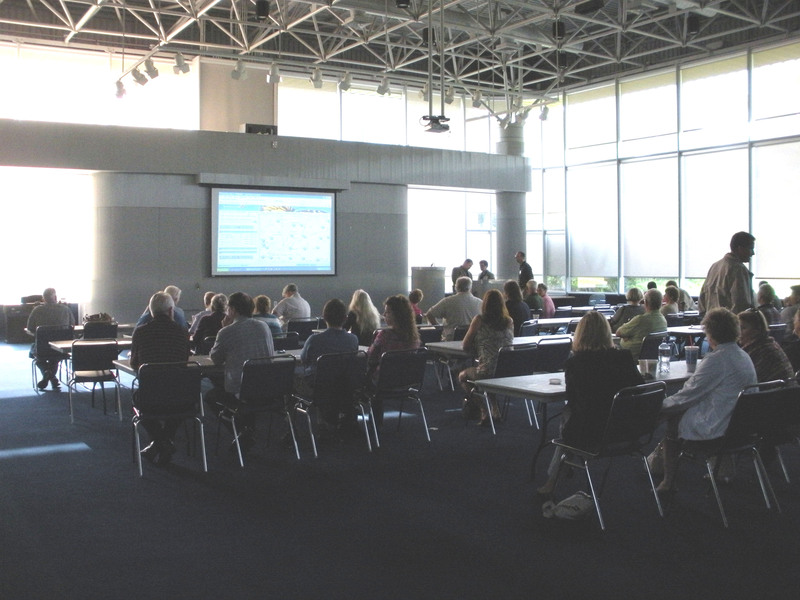 The second Trainee Upgrade Clinic with be held at the Northern Illinois Appraisal Institute Chapter on 9/20/2013, in Rockford, IL. Time scheduled is 1-4 PM, the fee is $10. This clinic is well worth the trainee’s time and effort to attend. 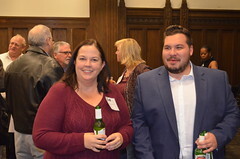 Please contact Jeff@Jacobson&Assoc.com Rockford Area Association of Realtors for more information. The 180 day registration period for AMCs is closing August 30, 2013. As of August 16, 2013, 120 AMCs have registered. Beginning August 31, 2013, Illinois appraisers cannot work for AMCs who are not lawfully registered with the State. The AMC must include their registration number on each and every order. Appraiser must identify the AMC as the client and include in their reports the amount of compensation received. AMC registration numbers start with 558 and their license renewal is every two years in the even numbered years. Brian reiterated the definition of an AMC and those who are exempt from the rules. Additional topics covered were payment policies (must be definitive), and the protocol for AMC ancillary fees. Brian provided a road map to avoiding problems, the eleven things an AMC has to provide on every assignment to the appraiser, what is considered unprofessional conduct by an AMC, prohibited activities, and what an AMC can still do. 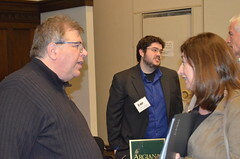 Brian also discussed interior photo safeguard rules for appraisers. The Godfrey campus is located on the 215-acre ground of the former Monticello College, a small, private liberal arts college for women founded in 1838. The campus features sculptures and fountains, and includes a garden site of the Missouri Botanical Gardens. Lunch was at large with many partaking of the college cafeteria’s diverse menu and out door veranda dining. A sunny and beautiful day the veranda overlooks the campus grounds and architecturally attractive buildings. Many thanks go to Tim, Tami, Carlos, Craig, Elizabeth and Brian for providing us with their expertise and a great educational experience. 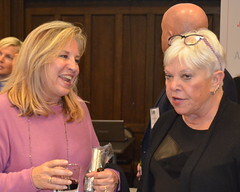 And last, but not least, many special thanks to Elizabeth Kern for arranging the details of ICAP’s Godfrey Seminar, the venue, the speaker line-up, hotel accommodations, and hosting the seminar. 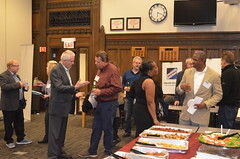 To view the most current Illinois State Appraisal Board Meeting click on the following link:. “If a State Certified General Real Estate Appraiser is supervising an Associate Real Estate Trainee Appraiser, all appraisals completed during the first 500 hours of experience shall be non-residential appraisals”. To read a letter written by Peter Poulos (President of ICAP) urging the Department to delete the language prohibiting Certified General Appraisers from providing Associate Trainee Appraisers with residential experience during the first 500 hours of training click the following link ICAP Position Regarding Proposed Amendment to Appraisal Rules. 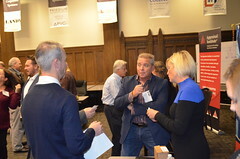 Lisle Seminar Attracts Over 340 Appraisers & Friends! 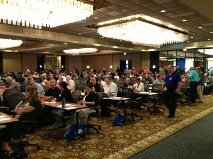 The 340+ appraisers and friends of ICAP who attended the July 29th ICAP seminar in Lisle were treated to a day of “what’s happening!” within the profession here in Illinois and as well as items of interest to all appraisers. 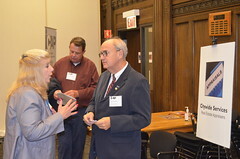 On the legislative side of things, Jim Blaydes TJ McCarthy, reminded ICAP members of how their calls, e-mails and letters to their IL legislators voicing opposition to HB2857 (where municipalities wanted the same exemption that the IL Dept. of Transportation has for waiver valuations) was instrumental in the bill being stopped in committee and not reaching the House for a vote. Though not totally successful in the effort to repeal the current exemption that IDOT has for waiver valuations, ICAP’s efforts were successful in requiring that where IL certified appraisers conduct waiver valuations, the product must be USPAP compliant. 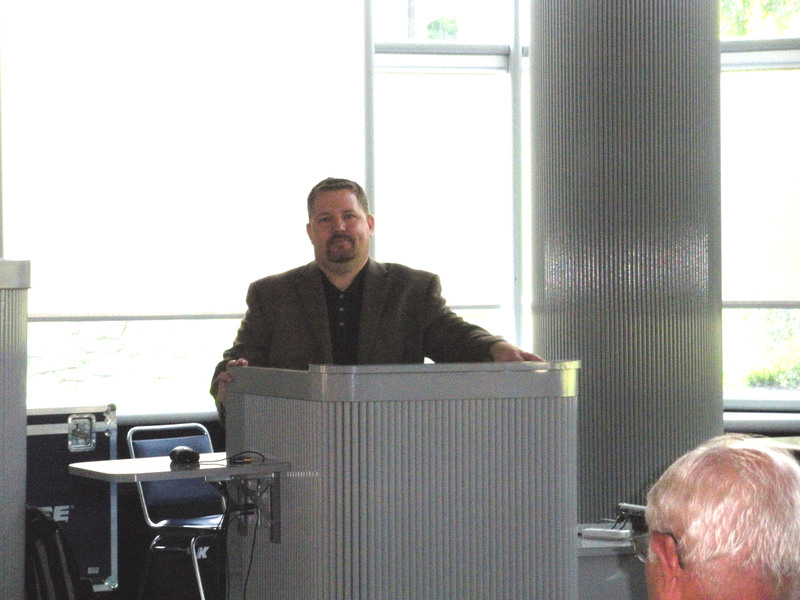 Brian Weaver, Appraisal Coordinator, IDFPR, shared information regarding the upcoming AMC Law which goes into effect on Aug. 30, 2013. Beginning 8/30/2013, at the time of engaging the appraiser registered AMCs are required–Administrative Code, aka “rules”; Sec. 1452.120; b), 1)–to provide (among other things) the appraiser with “The registrant’s IL registration number and expiration date.” In the separate “Administrative Code” (the “rules” which accompany “Appraisal Law”) for appraisers, appraisers are required—Sec. 1455.250, b)—to “not provide appraisal practice to an appraisal management company unless the appraisal management company is lawfully registered in Illinois…”. For more information, you may go to http://www.ICAPweb.com (or, http://www.ICAPweb.org) and, once you sign-in, go to the home page where you will find links to AMC Law and AMC Rules in addition to Appraiser Law and Appraiser Rules. A current list of registered AMCs is available at the IDFPR website. 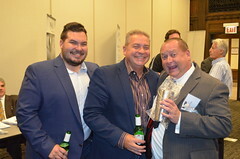 It was a lively discussion of all-things condominium and a reminder to all that there is much to be aware of and employ in developing a credible appraisal of condos, PUDs and co-ops. Maureen is a national instructor of a 7-hr. 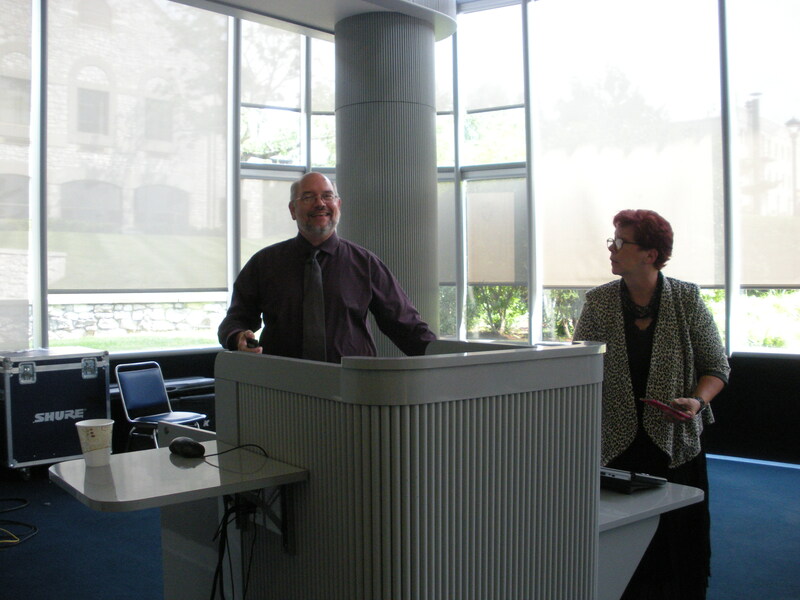 CE seminar—“Appraising Condos, Co-ops & PUDs”—which she developed and is a recognized authority on the topic. 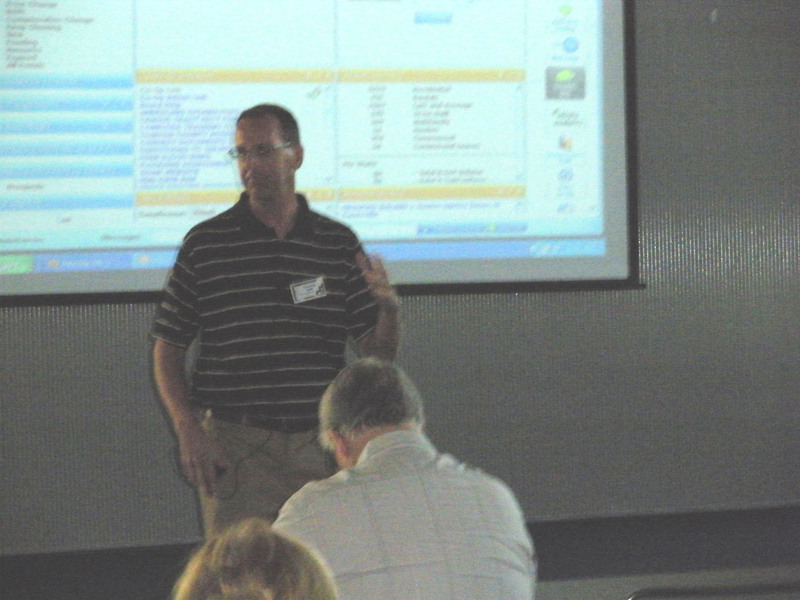 The morning session featured Dustin Harris, an appraiser and “appraiser coach” from Idaho. 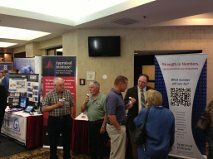 Dustin shared the many ways in which appraisers may increase their efficiencies via the technological tools available to them.